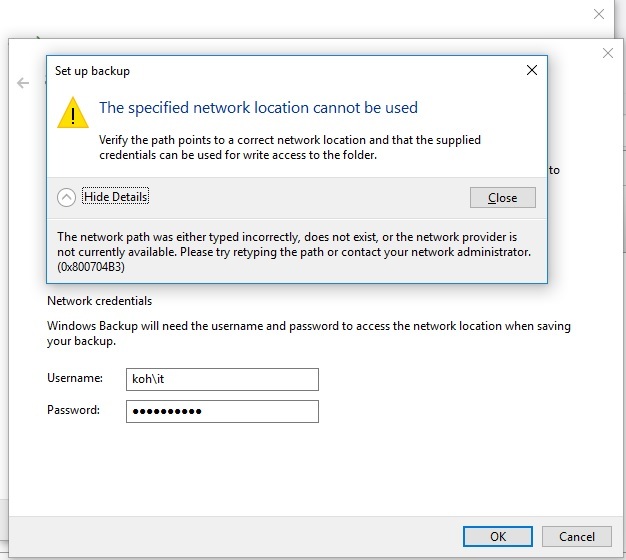 I - Windows 7 / Windows 10 Backup Cannot Save To A Network Location On NAS, How To Solve! Now Qnap creates a shortcut for your folder, and you can use this folder as you wish. 3 – change your smb version to 3.0 and try again? Launch QTS and go to the “Control Panel”. Go to “Network Services” > ”Win/Mac/NFS”. Enable Microsoft Networking and click “Advanced Options”. Set the “Highest SMB version” to “SMB 3.0”.